Happy March! And Happy National Nutrition Month! Did you know the Academy of Nutrition and Dietetics puts on a campaign to promote nutrition education and information annually in March? The campaign began in 1973 as National Nutrition Week, but due to popularity it became National Nutrition month in 1980. National Nutrition month promotes the Academy of Nutrition and Dietetics and its members, Registered Dietitians, to the public and media as the most credible sources of nutrition information. Each year National Nutrition Month focuses on a theme to share the importance of making informed food choices and developing sound eating and physical activity habits. National Nutrition Month’s 2018 theme is: Go Further with Food! The foods you choose to eat make a difference, whether it is choosing healthy snacks or reducing your portion sizes, in your overall health. Go Further with Food Tips! Eat Breakfast: start your morning with lean protein, whole grains, low-fat dairy, fruits and vegetables to jump start your day. Make half your plate fruit and vegetables: they add color, flavor and texture to your plate, plus the added benefits of vitamins, minerals and fiber. Make 2 cups of fruit and 2 ½ cups of vegetables your daily goal. Plan meals and snacks based on the foods you have on hand. Get creative with leftovers. Transform them into soups, salads or sandwiches. Be mindful of portion sizes and avoid throwing out excess food. Donate extra foods, that are still safe to eat, to a local food pantry or shelter. 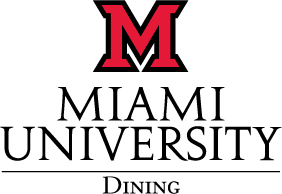 What is Miami Dining doing for National Nutrition Month? When you are in the dining halls look out for nutrition facts posted near serving lines. Check out our Nutrition Walls in Garden Commons and Western Dining Commons for nutrition information and pamphlets. We will be focusing on our March Superfood: Kale! Find Kale at our dining locations and learn more about the benefits of this superfood and how to use it in many different ways! Follow us on social media! We will be posting nutrition tips, nutrition trivia questions, recipes, dining hall hacks, blog posts from our Registered Dietitians and Dietetic students, and more! Tag us in your #HealthySelfie Take a picture of your food or your food and you! Tag @MiamiUDining and use the #HealthySelfieMiami to be entered into our National Nutrition Month Raffle!